The Current Debate on Universal Preschool in the U.S.
It’s a common philosophy that, to fix the issues of the world, the world needs to invest in its youth, as they are the future. In President Obama’s 2013 State of the Union Address, he announced his plan to push for universal preschool across the US. He proposes $75 billion be spent on universal preschool in the next 10 years, through his 2014 budget that has yet to pass through congress. It calls for an almost 100% increase in cigarette tax to pay for the program. This additional preschool funding would be in addition to the 50 year-old Head Start program. The Head Start program is a federally funded preschool program aimed at serving the children of low-income families. Its annual budget is around $8 billion; a majority spent directly on services and is primarily run through local nonprofit organizations. It was started in 1965 under the Johnson administration as part of the Great Society campaign, which was aimed at eliminating poverty and racial inequalities. 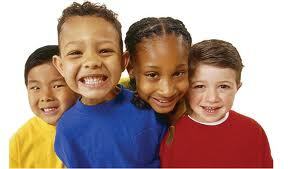 Most of the children who are in Head Start range between the ages of three and five. Early Head Start is also offered for infants and toddlers. Jane Ervin is the current president and CEO of Community Services for Children, the nonprofit that runs the very successful Head Start program of the Lehigh Valley in Pennsylvania. In a recent conversation, she expressed her view of the public opinions on preschool and Obama’s plan. She believes that people are not interested in paying for children in poverty because it’s not their responsibility to help the teenage mothers or the illegal immigrants. What they do not understand is that these children will grow up and keep contributing to the culture of poverty rather than contributors to society. People are not brave enough to step up and fix the problems knowing the results will become visible in 15 or 20 years. Politicians won’t focus on it because there are so many other things that affect people’s lives. This has a negative impact on children and families who are out of sight, and therefore out of mind. It’s difficult to get people to care about children’s education when the economy is under attack. Jane believes everything will come down to the practicality of funding and ability to convince others of the importance of preschool education. I think that Jane may be right. As we continue to compete with each other, we become only concerned with the things we have and the money we make. We are no longer concerned with those who fall behind and cannot pick themselves back up. And the gap is increasing. Jane reported that 26% of children are currently living in poverty in the Lehigh Valley. When she started at Community Services for Children six years ago, it was 20%. With the world’s population growing as rapidly as it is, we can no longer afford to not invest in our youth. More to come in my next blog, on my talk with Jane Ervin! Excellent post, Aftan! Headstart is an amazing program that helps so many children. When I worked there, they provided a healthy breakfast and lunch, basic skills and academics, and healthcare…its a real disservice to the community when they cut funding for such programs.